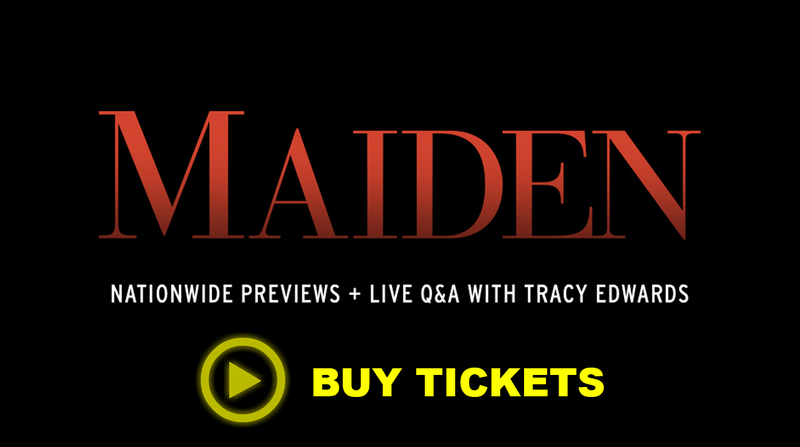 Tracy founded The Maiden Factor in the process of rescuing of her beloved yacht Maiden. In 2016 she decided she wanted to do more than just restore Maiden, she also wanted to make sure she was used for something special. Tracy is Patron of, fundraises for and supports a number of small but effective charities who facilitate the education of girls around the globe. For Tracy, the drive to get girls who are currently denied the basic right of an education into school, is particularly poignant as she was expelled from school at 15. She now knows what she gave away. She also wanted to pay tribute to the late King Hussein I as a thank you for his role in getting Maiden to the start line 28 years ago. His Majesty has many wonderful legacies but his vision of the equality of women through the education of girls is close to Tracy's heart and a perfect way for her to remember her friend. 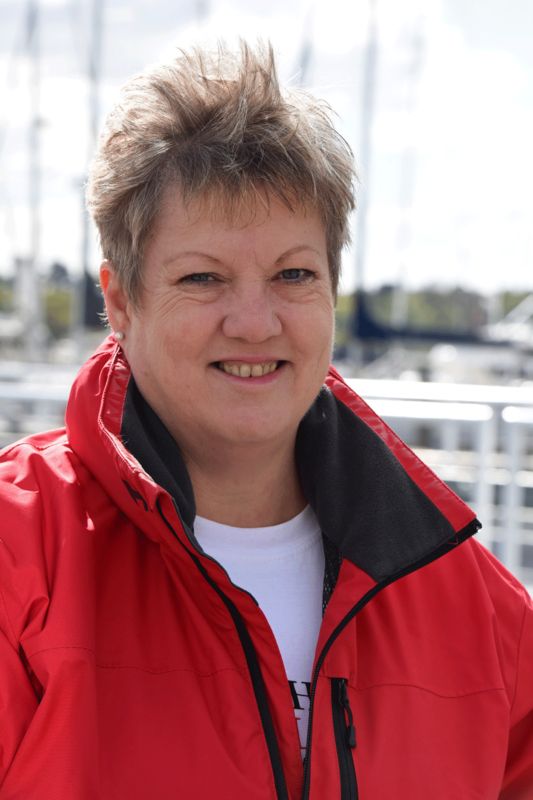 With over 30 years experience creating and running sailing projects, Tracy will oversee the entire programme. Tracy will also work with HRH Princess Haya Bint Al Hussein to make the vision a reality and get girls into school. Libby's role will be to maximise the potential sponsorship and media opportunities of The Maiden Factor world tour in support of the overall aim to get more girls into education. She has extensive experience in marketing, PR, communications and sponsorship having worked for major international consultancies; the Women's Tennis Association; on Olympic programmes and helped set up Generations for Peace (formerly Peace through Sport). Libby has worked with Tracy on previous projects and brings a wealth of experience to the team. Libby grew up in Northamptonshire and her experience of sailing was in dinghies at Cransley Sailing Club; she lived and worked mainly in London until moving to Jordan when she married her husband and working at the British Embassy in Amman as Vice Consul for five years before joining The Maiden Factor. Kaia will coordinate the social media creative content within the business, working alongside and assisting Libby Mudditt, Head of PR. Kaia is passionate about equality for girls and women, and hopes to connect with as many people through social media as possible to spread the positive message of The Maiden Factor and what it achieves. Kaia attended The Henley College, and went on to study Psychology at Royal Holloway, University of London. She discovered her enthusiasm for supporting children's' education and development working as an ABA Autistic Tutor during her BSc (hons) and continued on to become the Creative Facilitator for Nature Nurture CIC, a company that aims to re-connect children with their local natural environment, and collaborated with companies including BBC's Cbeebies and Intelligent Health. In 2015, she joined Jubilee OWLS (outdoor woodland learning scheme) as their Nature and Education co-ordinator, working and liaising with schools to support children's education and curriculum in a forest setting. She also helped with the development of the sister company Jubilee Cadets, an outdoor woodland-based holiday club, assisting with the managing and running of the club in the school holidays, and worked to support and progress the growth of both companies. Originally from Edinburgh, Alex has worked in the Events & Hospitality business since 2010. She has delivered a wide range of events over the years from conferences, product launches and corporate incentive travel. Clients have included governing bodies, entertainment and hospitality sector members and corporate clients from across the UK and overseas. Alex has worked on promotional events for large governing bodies throughout the Edinburgh Fringe Festival for Event Den and more recently for Scotch Whisky Experience PLC as Assistant Events & Hospitality Manager. She worked with clients to organise meetings, product launches, promotional events and seminars for up to 500 people which has given her a varied and extremely hands on knowledge. Over the past two years Alex worked for Virgin Money as their London Office Host. She has organised fundraising events for charities such as Children's Hospice Association Scotland (CHAS) & Heads Together raising over £75,000. An avid gym and running enthusiast, Alex has also raised money and awareness for charities through sporting events and recently undertook the Virgin Money London Marathon and later, The Three Peaks Challenge. Alex will be organising events before Maiden leaves the UK and at each of the stopovers which will include; fundraising events, school visits, media days, VIP days and Gala dinners. Allie has 25 years’ experience working in Operations and Logistical management within the Yachting World, both UK and Internationally. 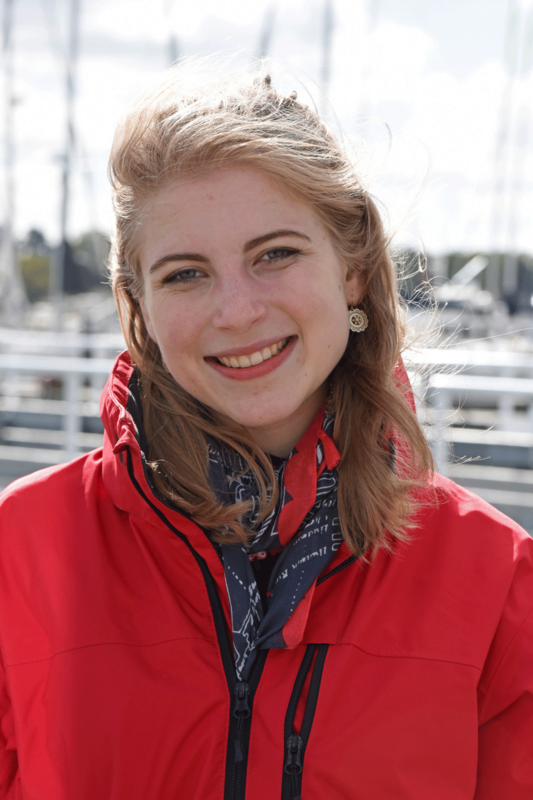 Allie raced around the world as Bowman on the 67 foot yacht InterSpray in the British Steel Challenge and is a commercially endorsed RYA Yachtmaster Offshore sailor and experienced RIB Skipper. 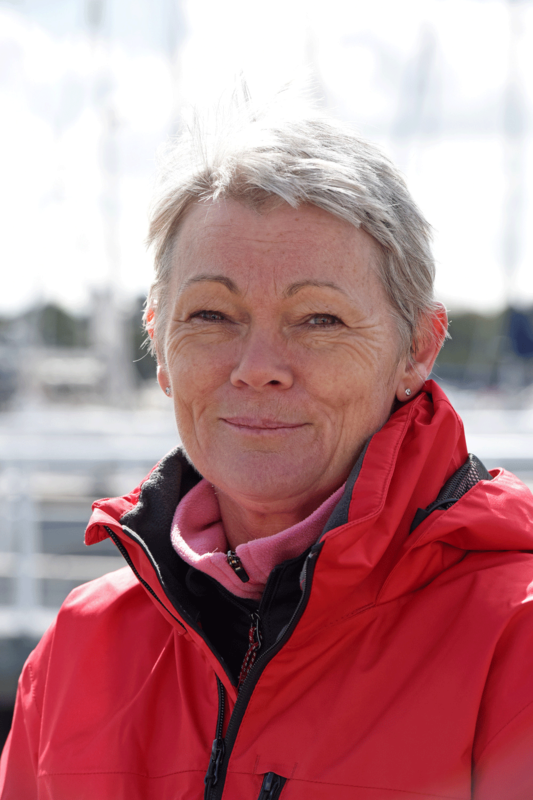 She has previously worked for lnternational Yachtsmen including Sir Chay Blyth, Sir Robin Knox Johnston and Mike Golding. 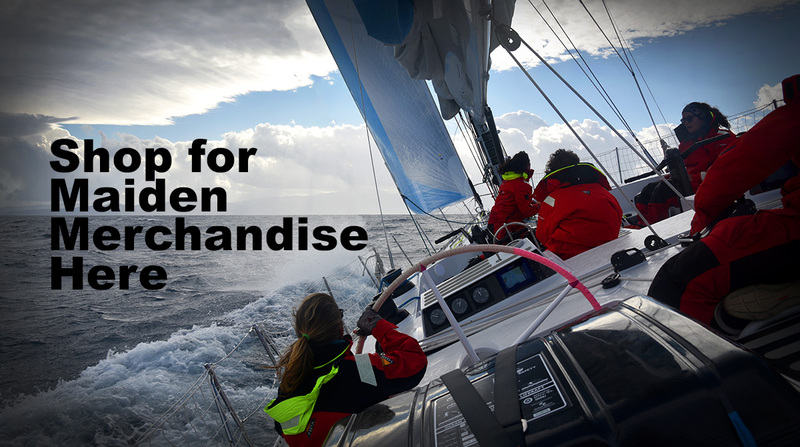 During this time she has been involved in many international yacht races including the Vendee Globe, Transat Jaques Vabre, Route du Rhum, OSTAR, Around Alone, Clipper Round the World Yacht Race, BT Global Challenge and the Rolex Fastnet Race. She was also was Project Manager of the inaugural Atlantic Rowing Race from the Canaries to Barbados. 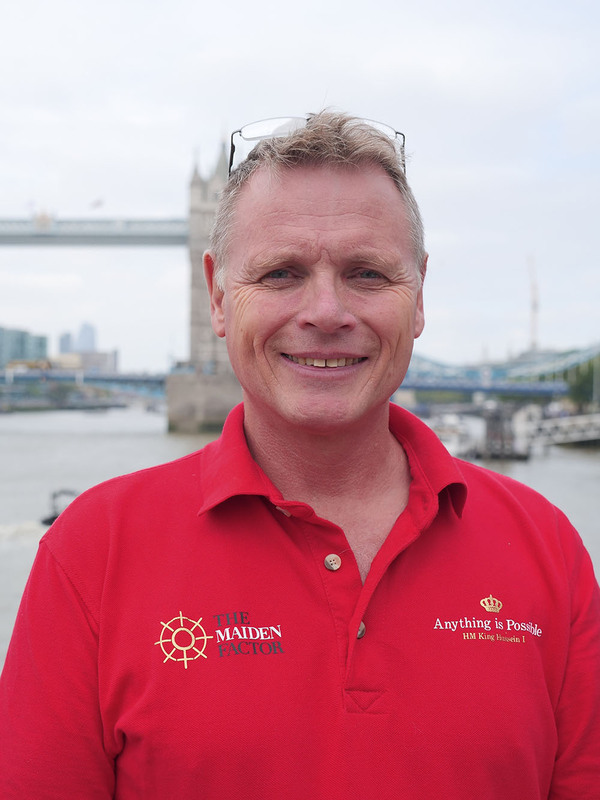 Allie is the founder of one of UK’s most successful sailing and racing schools. 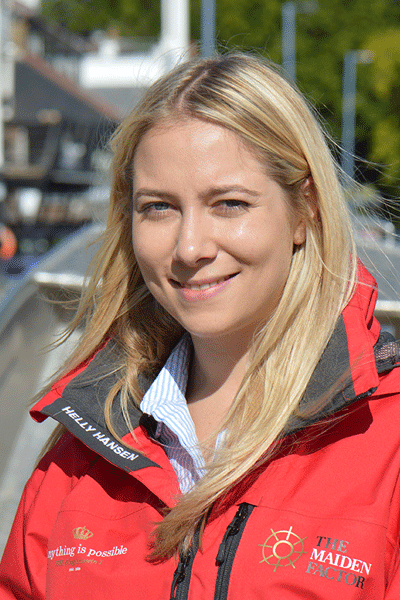 Sailing Logic, which she ran for 13 years and has a BA Hons degree is Sports Management. 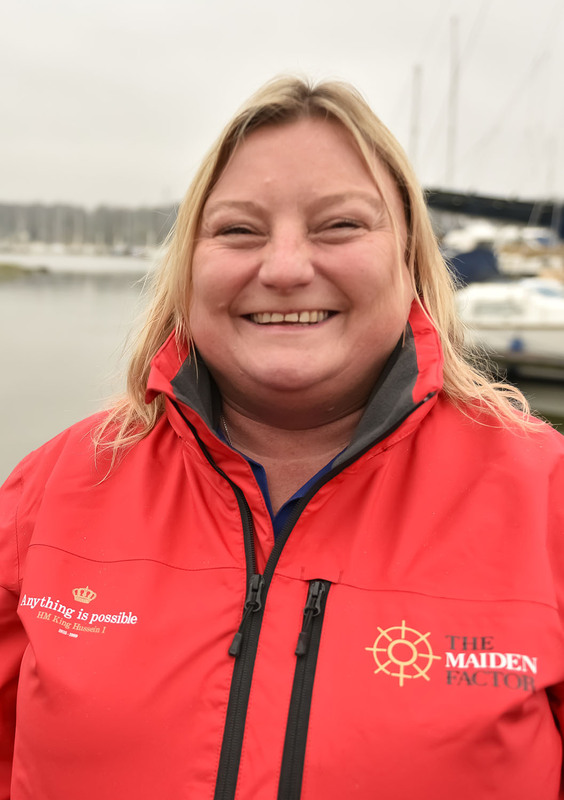 She also volunteers with the Royal Ocean Racing Club (RORC) as a Safety Inspector, checking the safety of racing yachts prior to international and cross-channel races. Greg’s role will be to develop projects working with schools in the U.K and around the world. He has worked with Tracy on various projects over the years, including the 2004-2005 Oryx Quest Round-The-World Yacht race where he designed and developed an interactive educational programme for the schools in Qatar. Greg served in the Royal Air Force and spent time with the U.S Airforce. Thereafter he worked as an arboriculturalist, running a business in and around Berkshire. He is also a landscape designer and sculptor. Greg is passionate about unlocking the potential of millions of children that are not able to access education.